What Mr. Gopalkrishna Gandhi, the former Governor of West Bengal spoke on the Hindu Literary Festival at Chennai on the 15,16 and 17the January 2016 is reproduced below: The three-day festival inaugurated by Mr.Omar Abdullah, former Chief Minister of Jammu and Kashmir. The function was attended by literary scholars from all-over India and from abroad. On the second day of the function, a formal discussion was held on the Tamil ethic, Thirukkural. It was mainly centering around Mr.G.K.Gandhi’s English Translation of Thirukkural. Dr.A.R.Venkatachalapathy of the Madras Institute of Development Studies took part in it. 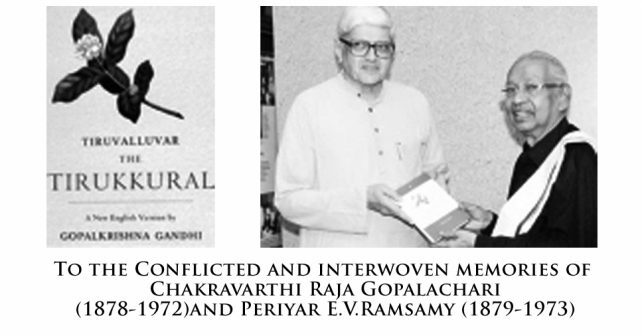 Even though there are various commentaries on Thirukkural, both Rajaji and Periyar have highly valued the contents of that ethical treatise, Mr.Gandhi has said. His English rendition of Thirukkural is in poetic order to enable the scholars in English to enjoy its substance. The Ahilam Book Company, 7/16, Ansari Road Daryaganj, New Delhi is its publisher. The poetic version of Thirukkural is as much scholarly as that of G.U.Pope who translated it in 1886. Mr.G.K.Gandhi’s maternal grandfather, Rajaji had also rendered it in 1937. Mr.Gandhi made a reference about the reluctance generally among the scholars to translate the third section on ‘Love’ in Thirukkural. 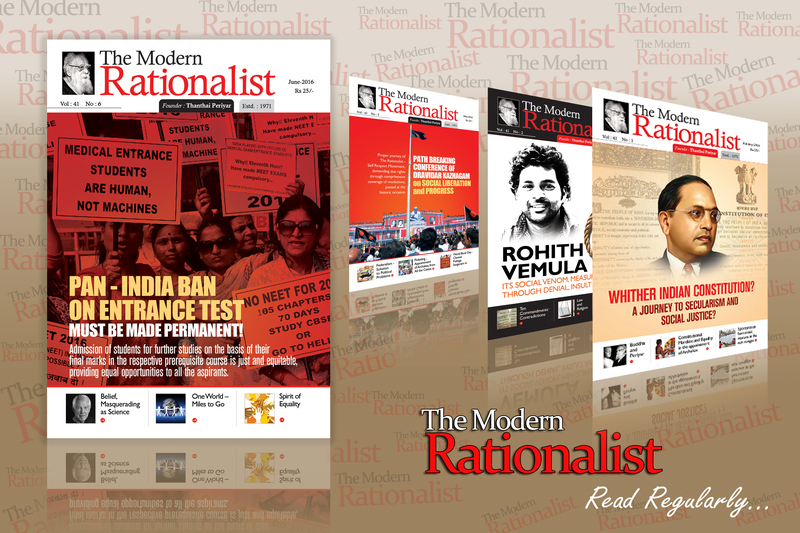 The rendition of that chapter by Mr.Gandhi is said to have favourably reviewed by various scholars. Experiences in translating that ethical treatise, Mr.Gandhi interestingly recalled in the discussion. He has submitted this translation to the revered memory of both Rajaji and Thanthai Periyar. These two contemporaries have spoken admiringly of Thirukkural, he said. Even though Periyar had certain reservations on Thirukkural he did not fail to appreciate its merits, he added. At the fag end of the function, a few couplets of Thirukkural chosen by Mr.Gandhi himself were sung by Thiruvaroor Girish along with Mr.Ravikiran. Dr.K.Veeramani, President Dravidar Kazhagam was found appreciating it by prominently occupying a seat in the front row. When Mr.Gandhi came down from the rostrum, he thanked the president and shook hands with him. Gopalkrishna Gandhi, the former Governor of West Bengal is the grandson of Mahatma Gandhi and Rajagopalachariyar.